It sounds repulsive, doesn't it?! I am so not a date/fig/prune type person. But, let me just say, these things are gooood. My husband's boss brought these to our house last year for our New Year's party. 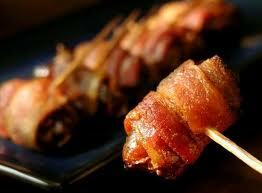 I thought they were little bacon wrapped weenies and popped it in my mouth. To my surprise they were NOT. Instead, I got a sweet & savory little delight. Mmm mmm mmm. I couldn't stop eating them! Had to have the recipe. 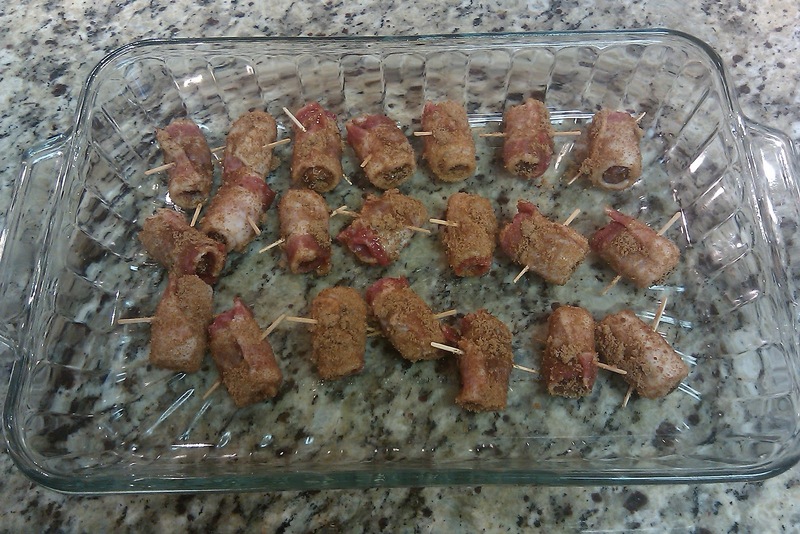 And here is the man version I got: "Wrap them in bacon, roll in brown sugar, and bake 'em 'til their done." 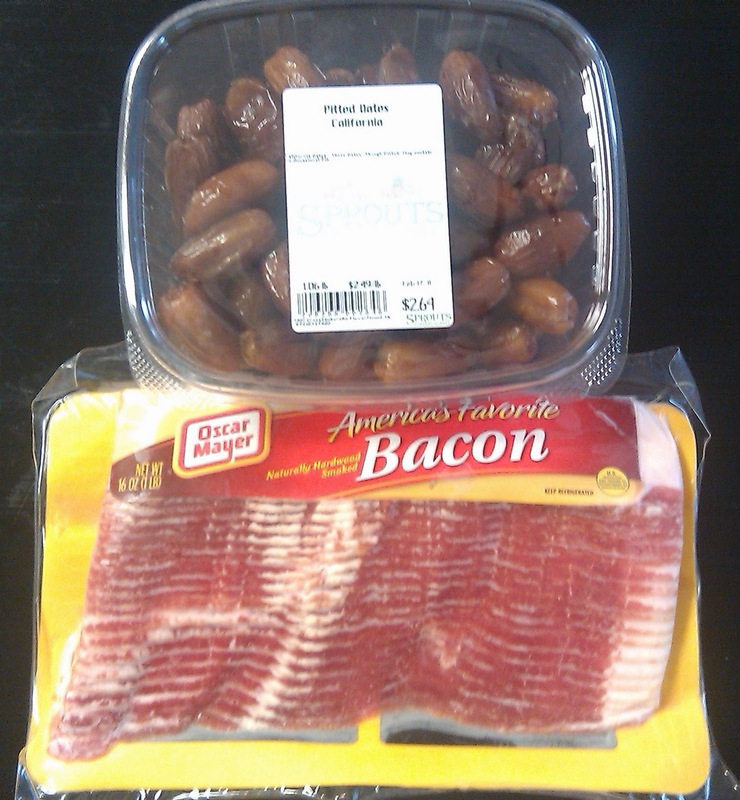 Cut each slice of bacon into thirds. (Kitchen scissors work great.) Wrap each date in a piece of bacon and secure with a toothpick. 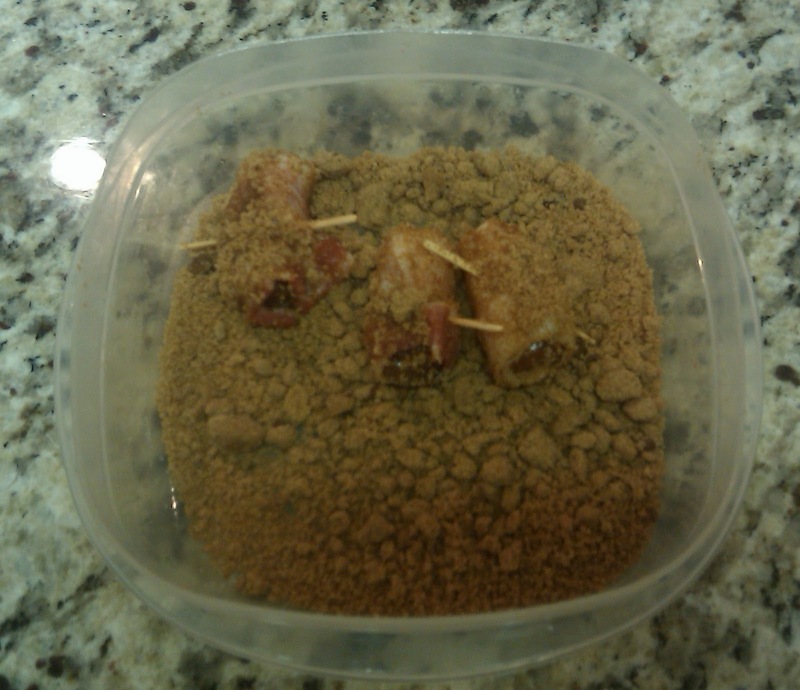 Roll or gently shake the bacon wrapped date in brown sugar. Place in a baking pan (I used 2 cake pans) and bake at 400 for 30min. Enjoy!